Our Visit to Silt with Peggy Utesch of the Grand Valley Citizen’s Alliance (10/28/06). Attending were Eric Karlstrom David Bright, MacKenzie Trujillo, and Maya Madrigal of the San Luis Valley Citizen’s Alliance (SLVCA). We met Peggy for breakfast at 8:30 am at the Newcastle Diner and discussed general issues and asked questions that we had prepared for her. 1) Answer to Vince and Mary’s questions: Did Peggy and Drilling Co. address water questions before they started drilling? Yes, they had a community development plan. 2) Was there a change in the water quality after drilling? Yes. 17 water wells were wrecked. These occurred along a fault line- where gas was coming up through the fault line. Among these is the West Divid Gas Seep (EnCana was fined $370,000- largest fine ever by Colorado Oil and Gas Conservation Board. After fracking, total dissolved solids went off the scale. Drilling caused water shaking in wells, massive increase in iron-bearing bacteria, higher B-tex levels (carcinogens). 5) What would Peggy do differently? She wishes she had understsood how the laws were on their side, and how corrupt the government is at all levels, local, state and federal, with key officials on the take from industry. Therefore, need to act more pro-actively rather than re-actively. Need to quickly connect with all available resources, environmental groups, legal council, water experts, hydrogeology experts, spiritual and native American groups, etc. 6) What about air and water quality? Re: air quality, ground-level ozone is emitted by drilling on every pad. Each pad needs a special permit to exceed air quality standards required by the state and the feds. After gas comes to surface, a dehydrator is used to separate the gas from the condensate, which includes volatile carcinogens – B-tex- (benzene, ethyl benzene, xylene, toluene), fracing fluids, water. Ozone is heavier than air and sinks into low lying areas- cause of goat herds, especially kids, dying. ½ of goat kids were stillborn on a ranch about 5 miles south of Silt where Encana has many wells operating. A Colorado Bill (2004) limits ground level ozone that comes off condensate tanks, Check EPA website, ground level ozone is the #1 cause of asthma, also causes significant crop damage, and damage to animals, etc. Check Colorado Air Quality Coalition. Pollutants also lodge in body fat. Women at greater risk than men. Re: water quality, they use propolene glycol (an antifreeze)- on the well pads, which is fatal for animals, so these areas need to be fenced (but aren’t). Also B-tex (carcinogens) has been found in some contaminated wells and in grab samples for air quality. 8) What are the chances that test wells will contaminate the aquifer (unconfined, and confined)? Pretty good chance, check with local hydrogeologists, insist on closed-loop water system, and concrete casing from top to bottom of well. 9) What are chances commercial production will contaminate aquifer? High, based on Peggy’s experiences. 10) How can we “get them?” Peggy says: Bad PR, everytime there’s an accident, report it, put it in paper, get everything in writing, hold them accountable for everything, their Achilles Heel is money. If we knick away at their profits, through law suits, delays, EIS’s, tie them up in court, etc. this costs them money and may make them want to cave in. 11) We need a strategic plan. Our 3-hour field trip about 5 miles south of Silt and onto Harris and Grass Mesas. After breakfast at the New Castle Diner, five of us loaded into Peggy Utresh’s small Honda civic and began our tour of gas wells about five miles south of Silt. Peggy drove us to the area where she had lived prior to gas drilling by Antero, which began in 2003. We saw and photographed many gas wells and associated well pads with their typical assemblage of dehydrators, consensate tanks, gas pipelines, etc. The wells and well pads are situated throughout beautiful rural communities with widely dispersed homes, cattle, horses, and goats. Sometimes a single house was surrounded by several well pads. The pads themselves were simply comprised of scrapped earth and were typically about 1 acre diameter and were not paved. We also saw a number of lined ponds designed to hold drilling fluids and other wastes. Peggy related that she herself had suffered extreme (full body) skin rashes from the air pollution (ozone and B-tex, among other things) and therefore, had more or less been forced to sell her home and move to nearby Newcastle. Three of the four of us visitors from Crestone also experienced strong reactions to the air pollution immediately next to her old house. Our symptoms included dizziness, nausea, watering of the eyes, headaches, etc. We could smell the pollution in some areas, as well as see the damage it has been caused to local vegetation. Many large gas trucks were driving on the mostly dirt roads, as well as some large red Halliburton trucks, and many smaller service vehicles. In our 3-hour drive, we were followed by four different industry pick-up trucks. ne of these parked in the middle of a road next to a gas well, blocking our access. Another one pulled along side our vehicle and asked if there were any problems. Clearly, they were nervous about our taking pictures of their activities and were engaged in some mild intimidation. Peggy guessed that all four were driven by supervisors who were in radio or walky-talky contact with each other. 1) On May 18, 2001, George W. Bush signed Executive Order 13212 (Actions to Expedite Energy Related Projects) which ordered all government agencies to put new oil, gas, and coal projects on a fast-track, priority footing. The new m.o. is to facilitate rather than regulate the energy industry. At the same time, the Bush administration drastically cut funding to federal agencies and regulatory agencies, who then are too short-staffed and underfunded to enforce the existing laws that protect communities and the environment. So we might as well not have the laws. Peggy notes that a study showed that 90% of the changes local people wanted to see were already in the existing rules and laws- but these were not enforced. So the federal agencies typically pull people off of inspection duties and so they can concentrate on issuing more permits. Due to lack of staff, it is physically impossible for regulatory agencies to do the amount of inspecting that is needed and required. 2) A typical “play” is about 30 years, but the most gas comes out in the first 5 to 7 years. The Big companies take the best and leave, then small guys come in take the rest and leave without cleaning up the mess because it’s cheaper. Then typically the tax payers pay to clean up the abandoned equipment, separator units that have to be moved, soils that need reclaiming and ground that needs reseeding. 3) We need to look at Federal Energy Bill to see what kind of technologies they are using. 5) It costs about $1 to 1.5 million to drill a well, and they get back at least 10 times that much. 6) There is now a complete moratorium on drilling in the confined aquifer (Bob Kirkham). Surface water rights are senior and gw rights are junior. State engineers office issued too many permits for water wells in the 50s, 60s, and 70s, but the state is not helping to solve the problem. 3) Skytruth- photos from air planes. 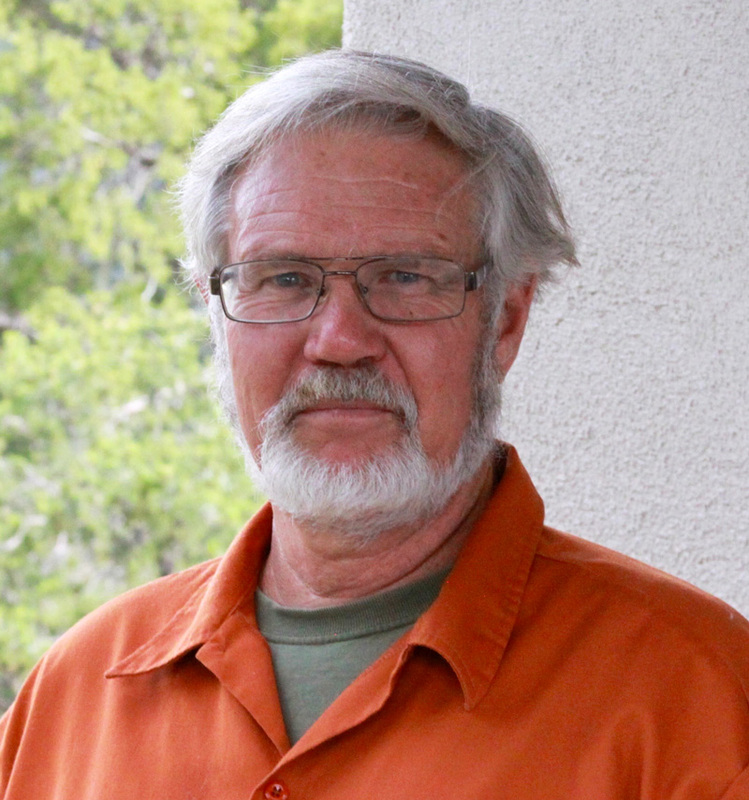 Rick Aluise- town planner, Silt, Rick@townofsilt.org, 970-876-2353. Ask Barkmann about potential gw problems from oil and gas development (he’s the expert on local hydrogeology in this area) issues about brine and water disposal. 11) Grand Valley Citizens’ Alliance, Grassroots Community Action, P.O. Box 54, Silt, CO, 970-876-0430 or 970-285-2250 (Peggy Utresch’s organization and numbers). 13) Coalition for the Valle Vidal (www.vallevidal.org). 13). Mike Sullivan, Colorado Water District (?). 14) High Country News. Paonia, CO. Tom Bell. P.O. Box 1090 Paonia, CO 81428-9989. 15. NOW. PBS. David Bronkocio. 2) Filling the Gaps: How to Improve Oil and Gas Reclamation and Reduce Taxpayer Liability, a publication by the Western Organization of Resource Councils, August, 2005. 3) Management Guidelines for Oil and Gas Development (August 4, 2005) Colorado Mule Deer Association. 4) Law and Order in the Oil and Gas Fields; A Review of Inspection and Enforcement Programs in Five Western States, A report by the Western Organization of Resource Councils, November, 2004. 5) Air Pollution Control Division Regulation Proposals: Oil and Gas Emissions, Western Colorado Congress, An Alliance for Community Action. 6) Resolution to Protect Colorado’s Air from Oil and Gas Production Emissions, a petition. Oil and gas is the single richest industry in the world, worth well over $1 trillion/year. Over 2 million oil and gas wells have been drilled in the U.S. As of 2002, there were about 520,000 producing oil wells and 360,000 producing gas wells here. That number is expected to double by 2012. The San Juan Basin of New Mexico has over 18,000 wells, with the Bureau of Land Management (BLM) proposing an additional 12,500 wells in just one portion of the basin. By some estimates, at least half of the natural gas that can be produced in the U.S. has already been burned. Because consumption has outpaced production, the nation now imports over 15% of the natural gas it uses. As supplies dwindle and demand soars, prices have also soared; natural gas prices skyrocketed 400% in the year 2000 alone. The federal government is providing huge subsidies to the gas extraction industry. Our cheap, abundant, and supposedly “clean” fuel of choice has now become expensive both in terms of dollars and damage to communities and to the environment. Along with the boom in gas and oil comes a vast grid of associated infrastructure: wells, well pads, roads, power line and pipeline corridors, waste water impoundments, compressor stations, processing plants, and other facilities. This development is significantly affecting public and private lands, water resources, crops and soils, air quality, and property values. The impacts on people, communities, and the environment are often dismissed as “collateral damage” by the present administration and the federal and state regulatory agencies involved in the permitting process (Kuipers and Associates, 2005). As a matter of fairness, when an oil or gas company’s actions result in expensive damages to land, water supplies, and other natural resources, the burden of cleanup should be borne by the company, not taxpayers or landowners. However, companies often cut corners in the exploration, production, and cleanup phases of their operations in order to maximize their profits and “externalize” their losses. Peggy Utresch of the Grand Valley Citizen’s Alliance notes that, generally speaking, you can’t hope to sue oil and gas companies because all the laws are in their favor, based on over 100 years of legal precedents. In fact, we are dealing with an entrenched system of state-supported monopoly capitalism that goes back to the very beginning of the oil industry, when John D. Rockefeller gained control of 90% of the oil industry by 1880 (Wasserman, 1994). When the state uses its power to protect the interests of private profiteers over those of its citizens, the form of government shifts from that of democracy to that of fascism. Fascism should more properly be called “corporatism’, since it is the merger of state and corporate power. We stand for the maintenance of private property…. We shall protect free enterprise as the most expedient, or rather the sole possible economic order. On May 18, 2001, George W. Bush signed Executive Order 13212 (Actions to Expedite Energy Related Projects) which ordered all government agencies to put new oil, gas, and coal projects on a fast-track, priority footing. The new policy is to facilitate rather than regulate the energy industry. At the same time, the Bush administration drastically cut funding to federal agencies and regulatory agencies, so they are now too short-staffed and under-funded to enforce the existing laws that regulate industry and protect communities and the environment. So we might as well not have the laws. Peggy Utresch of GVCA notes that a study showed that 90% of the changes local people wanted to see were already in the existing rules and laws, but these laws were not being enforced. Typically, federal agencies now pull people off of inspection duties and so they can concentrate on issuing more oil and gas permits. And due to lack of staff, it is physically impossible for regulatory agencies to do the amount of inspecting that is needed and required.
? The Colorado Oil and Natural Gas Conservation Commission is issuing the highest number of new permits for oil and gas wells ever- 5400 in 2006 vs. 2917 in 2004. Colorado now has about 30,000 active wells and another 40,000 that have been plugged and abandoned. Physical exploration involves drilling of “wildcat wells” to determine both the location and size of potential deposits. Upon discovery of an economically viable field, a “full field development” plan is implemented with spacing of wells and other production concerns set out in a variety of corporate, local, state and federal proceedings. The oil or gas field is then developed site-by-site with the drilling of production wells. Pipelines, treatment facilities, compression stations, and a variety of other production infrastructure facilities are constructed at the well site to extract the raw oil and gas, separate the saleable materials, prepare for transporting the oil and gas to market, and dispose of wastes and by-products. Gathering pipelines lead to centralized field facilities for further treatment, compression and waste disposal. From there, transportation pipelines are used to ship oil and gas products. The field is operated for decades with daily maintenance checks and frequent construction work required to keep these industrial facilities operating. Production data is constantly gathered during the full field development and can lead to changes in well-spacing and operations requirements. However, little data is gathered on the environmental impacts of production, treatment and transportation. Eventually, the oil or gas sources are drained and fall below profitable flow levels. The wells are then “abandoned.” The abandonment phase includes plugging wells, removing infrastructure, and, in theory, returning the land back to the condition that existed before full field development. Since each of these phases can have detrimental impacts on the surrounding environment, the ability to return the land and water to the condition before full field development is still a theory that has not been proven on the ground. “Plugging and abandonment” is an industry term that refers to the stage at which a well becomes uneconomic to operate and is therefore abandoned. Once production ends, the well is capped. This involves placing cement plugs into the wellbore and at the surface. Abandoned wells are the source of numerous water well contaminations. Instead of properly plugging and abandoning wells, many companies just walk away from uneconomic wells by selling them to undercapitalized corporations near the end of the profitable stages of the lifecycle of the well. These are termed “orphan wells” and become the responsibility of the federal agency and ultimately that of the taxpayer. In a survey completed by the BLM in 2001, it was reported that dozens of orphaned wells have been left behind on western public lands, leaving everyday taxpayers on the hook to clean up industry’s mess. Current bonding requirements are inadequate to ensure that orphaned wells are properly plugged and abandoned. Athough a typical “play” is about 30 years, most gas comes out in the first 5 to 7 years. The Big companies take the best and leave, then smaller companies come in to take the rest and leave, often without cleaning up the mess because it’s cheaper. The taxpayers then pay to clean up the abandoned equipment, separator units that have to be moved, soils that need reclaiming and ground that needs reseeding, etc.. It costs about $1 to 1.5 million to drill a well, and industry gets back at least 10 times that much. 1) The Baca Grant property (100,000 acres) is part of the San Luis Basin, a graben that extends north of the Rio Grande Rift in New Mexico. The basin includes two half grabens, the western Monte Vista Graben and the eastern Baca Graben, separated by the Alamosa Horst. Depth to Precambrian basement rocks in the Baca Graben is estimated at about 14,000 feet. Sediments and sedimentary rocks within the Baca Graben include, from top down, the Pliocene to Pleistocene Alamosa Formation and the Miocene Sante Fe Formation, as well as possibly Mesozoic sedimentary rocks (Cretaceous Mancos Shale and Dakota Sandstone, and Jurrasic Morrison Formation) and Permo-Pennsylvanian sedimentary rocks of the Sangre de Cristo Formation. Mesozoic sediments, if present, would provide the “source rock” or “reservoir rock” for gas and oil. There are two small outcrops of Mesozoic sediments near the eastern margin of the basin. Depositional context of Mesozoic Rocks: About 65 million years ago, there was a major invasion of ocean into Colorado, which extended from the Wet Valley, across the area of the modern Sangre de Cristo Mountains and the San Luis Valley to present-day Durango, leaving beach lines and marine shales. Climate was very hot and wet at that time, and huge, peat swamps developed behind the beaches, much like the Amazon River area today. However, most of these rocks were stripped away by erosion during the Laramide Orogeny some 65 to 55 mya..
On the east side of the range, in an overturned anticline at Loco Hill, there are small exposures of Jurassic Entrada sandstone and Morrison shale: no record of either Triassic or Cretaceous time is known. Beginning in late Cretaceous time and extending into the Eocene the region was subjected to intense compression creating anticlinal and synclinal folds that were subsequently cut by numerous west dipping low angle thrust faults. Crustal shortening within the range is estimated at 8 km at the latitude of Westcliffe and 14 km near the latitude of the Great Sand Dunes. This mountain building event is known as the Laramide Orogeny and crustal compression appears to have been mostly unidirectional and from the west. From this time and up to the present, the area has remained continental. Since the inception of rifting, the San Luis Basin has been subsiding as it was filled with alluvium. All streams draining the mountains disappear in the alluvial fill, thus creating the vast reserves of ground water. 3) But in the early to mid 1980’s, oil geologists investigated the valley between Monte Vista and Wolf Creek Pass and between Crestone and the Great Sand Dunes, and started finding Mesozoic Rocks. Then, 27 of 42 shallow exploration drillholes drilled by Challenger Gold Inc. in 1992 and 1993 encountered oil in “fractured Precambrian rocks and Mesozoic sediments.” 17 of these hit Mesozoic sediments that occur as rotated fault blocks in the hanging wall of the basin-bounding detachment fault. Geological consultants from Toronto (WGM) believe that the seismic character of basin rocks are “remarkably similar” to that of the San Juan Sag to the west (where Mancos-Dakota-Morrison are present) and the Raton basin to the east. 1) Lexam Explorations Inc. (Lexam) is a Toronto, Canada-based, exploration company that incorporated in 1983. It changed its name from Challenger Gold to Lexam when it went public. 2) Lexam’s management team, headed by Canadian billionaire Rob McEwen, former CEO (and current largest shareholder) of Canda’s Goldcorp Inc. and now head of U.S. Gold, oversaw development of Red Lake Mine, Canada’s largest gold mine. 3) Lexam purchased 50% of the hard mineral rights from Baca Minerals in 1987 and the other 50% of the oil and gas rights on the Luis Maria Baca Grant No. 4 from Newhall Land and Farming Company for $1 million. It acquired the additional 25% of the oil and gas rights from the Baca Corporation in 1996 from Gary Boyce for $1 million. Lexam also owns various interests in varying percentages of the hard mineral and oil and gas rights on land to the north and west of the Grant. The remaining 25% of oil and gas rights is owned by ConocoPhillips. But there is currently no agreement between Lexam and ConocoPhillips. 4) Lexam acquired surface access and use by fee simple ownership and a Surface Use Agreement with American Water Development, Inc. (AWDI) in 1992 for $1 million. This agreement is a 20-year paid-up lease that is binding on surface owners who may be successors in ownership to AWDI. This agreement can be extended if there is production on the property. 5) Surface rights are currently owned by the Nature Conservancy, but there is an intent to eventually convey ownership of the surface to the Federal Government (USFWS and NPS). 6) To date, there is no indication the Federal Government wants to acquire Lexam’s mineral rights. 7) Rob McEwan purchased Goldcorp’s 49.8% of Lexam in August, 2005, for $400,000 (Canadian) or 2 cents a share. As of July, 2006, that share is worth $12 million. 8) Drilling of two new, 14,000 exploratory wells on the Crestone East Prospect (Baca #5 and # 6 wells) are considered high risk (“wildcat”), but Lexam believes there is significant potential of discovering large amounts of gas and oil in the San Luis Basin. This depends upon two main “risk factors:” 1) the presence of favorable source rock (mainly Cretaceous Mancos Shale and Dakota Sandstone) and sealed traps. To determine actual presence of the various factors requires drilling. 9) Lexam is now applying for permits from the Colorado Oil and Gas Conservation Commission to drill these two 14,000 test wells in the deepest part of the basin that has never been drilled. Details include reclamation plan, processes to be used, protections to be offered/required, proposed well design, etc..
10) Lexam plans to spend about US $1.4 million to conduct 3D seismic survey (slated for January or February, 2006) and another US $8.5 million on drilling the two exploratory wells (slated for late 2007 or early 2008). 11) Currently, Lexam owns the subsurface mineral rights and the U.S. government (USFWS) owns the surface and water rights. 1) Again, conventional geological wisdom up to about 1992, as shown in a geological X-section by Ogden Tweto (1979), was that the eastern part of the San Luis Basin (the Baca Graben) was underlain by about 4 km of Tertiary and Quaternary alluvial fill overlying Precambrian bedrock. It was believed that there were no Mesozoic rocks in this area because regional uplift and folding and faulting during the Laramide orogeny resulted in more erosion than deposition of sediments. 2) In 1992 and 1993, however, Challenger Gold drilled a number of exploratory wells and got “strong shows of oil” in 27 drillholes. Cretaceous Mancos Shale and Dakota Group and Jurassic Morrison Fm. rocks were identified in outcrop and in 17 shallow drillholes. Of these, Mancos Shale is thought to be an excellent source rock and Dakota Sandstone is thought to be sufficiently porous (15-21%) to hold commercial quantities of gas and oil. 3) In 1995, Lexam drilled the Baca #1 and Baca #2 wells and confirmed the presence of the Cretaceous section on the Deadman Creek block. The strongest shows of oil were in Baca #2 well at 6,620 feet in the Tertiary Sante Fe Fm., the Mancos Shale and in Precambrian gneiss. 4) In 1996, Lexam acquired 20 miles of seismic data and 221 gravity data points, which strongly support the presence of a thick Cretaceous to Jurassic section in the Baca Graben. Integrating this seismic data with previous seismic data, they were able to delineate a large structural closure (the Crestone Prospect) at 7000 to 12,000 feet, with both trap types present. 5) In 1998, SONAT acquired 31 miles of 2D seismic data over the Crestone Prospect which also confirms closure of Crestone structures. 6) In 1999, SONAT relinquished its option agreement on this seismic data with Lexam. (why?)*. 7) In 1999 – 2000, Lexam acquired and reinterpreted seismic line CF-8402 that suggests gas in Tertiary sediments above the Crestone Prospect. 9) In March 2005, Lexam purchased this seismic data for $419,000, which indicates that “closure” (i.e., a trap) is better defined for the Crestone East block than the Crestone West block. 10) Today, Lexam’s primary targets are the Crestone East (4060 acres) and Crestone West (6,945 acres) prospects located in NW quadrant of their property. In addition, at Pole Creek (SE part of Baca Land Grant), a shallow 1.3-acre oil target is present in land overseen by the NPS. 12) Lexam hopes that over 100 and up to 550 square miles of the Crestone sub-basin contains a 2000 to 3000 ft. thick package of Cretaceous rocks at depths of 7000 to 17,000 feet. * You have to wonder why Lexam did not use local consultants…..
** You have to wonder why Sonat and Petro-Hunt sold their seismic data if the results were so promising. *** Also note the list of players includes AWDI (Maurice Strong), the Baca Corporation (Gary Boyce), Baca Minerals, Petro-Hunt, Chevron, SONAT, Conoco-Phillips, Nature Conservancy, and the Federal Government (USFWS). 1) Presence or absence of favorable reservoir rock is not known. 2) Do the interpreted structures (anticline and rotated fault blocks) constitute “sealed traps” that would hold the gas/oil? 3) They are still raising funds for the exploratory drilling and 3-D seismic investigations (about $12 million required). 4) McEwen is currently engaged in a legal battle with Goldcorp. 5) The nearest gas pipelines are 30 miles away. Lexam would either have to truck it out or build pipelines. 6) Identification of threatened or endangered species on Wildlife Refuge or federal requirement of conducting an environmental impact statement (EIS). Potential law suit from Malville, etc. 7) Cultural Resource Survey along the seismic lines, to be conducted by Maria, Inc. of Laramie Wyoming, could identify native American sites that would require either excavation or protection under federal laws. 8) Possible law suits by Rio Grande Water Conservation District to protect quality of aquifer for local farmers and downstream users. 9) Community input in the permitting process. 10) Potential law suits from spiritual groups or native American advocacy groups pertaining to Executive Order 13007 (1996) and the 1978 American Indian Religious Freedom Act which are meant to protect unimpeded access to sacred sites. On November 22, 2000, Congress authorized the establishment of the Baca National Wildlife Refuge (BNWR) in the San Luis Valley of Colorado. Authorization for establishment of the Refuge was included in Public Law 106-530 under Section 6 of the Act entitled, “The Great Sand Dunes National Park and Preserve Act of 2000.” In addition to the Refuge, the Act authorized the Federal acquisition of lands adjacent to the Great Sand Dunes National Monument for the Great Sand Dunes National Park and Preserve. In approving The Great Sand Dunes National Park and Preserve Act of 2000, Congress determined that the lands to be acquired under the Act offered unique hydrological, educational, wildlife, recreational, and other diverse resources deserving preservation for the enjoyment of future generations. Situated in the heart of the southern Colorado Sangre de Cristo mountain range and the San Luis Valley, the highest desert valley in North America, is the historic Luis Maria Baca Ranch. The 2004 purchase of this property, in addition to adding to Rio Grande National Forest, established the Great Sand Dunes National Park and Baca National Wildlife Refuge. The Nature Conservancy was integral to the purchase and transfer of property in the complex negotiations, due to their recognition of the value of the water rights associated with the surface rights. The San Luis Valley confined and unconfined aquifers have been the source of a large body of research, and are shown to be responsible for the creation and maintenance of the Great Sand Dune complex. This precious water resource provides for sensitive wildlife including over 70 species of rare plants and animals, valley agriculture, and water usage throughout the Rio Grande region. Rare flora and fauna, some found nowhere else in the world include, the Great Sand Dunes tiger beetle, giant sand treader cricket, Rio Grande cutthroat trout, southwestern willow flycater, and Cleome multiculis or slender spiderflower. Other species found in the area include bald eagle, sandhill crane, pronghorn antelope, elk, mule deer, bighorn sheep, mountain goats, mountain lion, and black bear. The mineral rights, including oil, gas and hard minerals, connected to the Baca Ranch had been purchased by Lexam Explorations, Inc., in two separate fee-simple $1m deals in 1987, and comprise approximately 100,000 acres of sub-surface area. Lexam has already submitted two applications to the Colorado Oil and Gas Conservation Commission, for 3D seismic testing and two 14,000’ test wells. Details include reclamation plan, processes used, proposed well design, protections to be offered or required, and existing geological information from shallow and deep water wells and previous Lexam tests. Note: COGCC anticipates 5400 permits in 2006 vs. 2917 in 2004, and has not yet begun processing applications for permits. 1. USFWS-(Ron Garcia), to approach the operator (Lexam) formally with requests. 2. USFWS receives formal approval, or not, from Lexam of requests. 3. If approved, forward requests to COGCC, to include as a condition. 4. If not approved, USFWS appeal to COGCC to consider as conditions to the permit. 5. Lexam could appeal or comply. 6. Notice is required for the start of drilling, beginning of casing operations. • Drilling 1.5-2mi from residence and subject to light and noise mitigation, dust control, proper handling of drilling waste. -Controlled activity in ecologically sensitive areas. -Complete avoidance of identified “extremely sensitive” areas documented on any/all seismic lines (source/receiver) during actual seismic surveys. -Avoidance of all recorded significant cultural sites documented. -Closed loop drilling process vs. exposed open pit. Will require disposal of drilling cuttings and mud OFFSITE at an approved facility. -Increased measures taken during drilling/development of wells to eliminate risk of seepage between water containing layers. -Approved long and short term water quality monitoring of both confined and unconfined aquifers. -Complete avoidance of all surface water conveyance channels/ditches. -Any roads and other disturbance through operations will be restored to pre-operation condition. -Longer term invasive species control and monitoring on all disturbed and rehabilitated sites. -An association for a residential community of artists, healers, natural builders, spiritual practitioners, retirees, and people seeking a simple country life based on values of ecological, spiritual and sustainable living. A national center of alternative home building, home to several international spiritual centers and spiritual leaders, and dedicated to preservation of local ecology and wildlife. The Baca Grande is neighbor to the historic town of Crestone, and part of the historic Luis Maria Baca Grant bestowed by colonial Spanish authority, that has in majority become the above mentioned Baca National Wildlife Refuge and Great Sand Dunes National Park. The San Luis Valley is composed of sediment up to 30,000 feet in thickness. Several layers of lava flows are interbedded within these sediments. In addition, an impermeable layer of clay, 10 to 80 feet thick, is present throughout the central and northern valley. The clay layer (an aquiclude) blocks the downward movement of water. The clay layer, at depths of 50 to 130 feet underground, creates two separate aquifers. Both aquifers yield large quantities of water. The lower aquifer is confined. The uppermost aquifer is unconfined and lies above the clay lens. This results in a relatively high water table (less than 12 feet to water) throughout half of the valley. 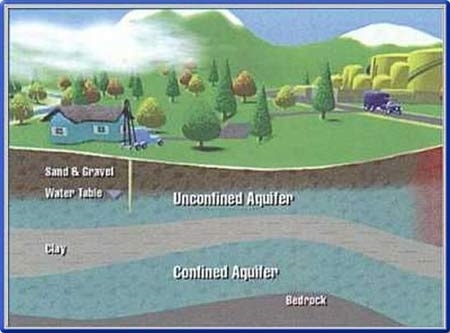 Both the confined and the unconfined aquifers are composed of unconsolidated clay, silt, sand, and gravel. The confined aquifer is interbedded with the layers of lava flows. There are about 7000 water wells in the San Luis Valley, of which about 1800 are “deep wells.” The danger of leaking contaminants irrevocably polluting the San Luis Valley aquifers from the drilling of two 14,000 ft. deep test wells, and possibility of future commercial production, is a threat to the whole Rio Grande region’s wildlife and water supply for future generations. There is now a complete moratorium on drilling in the confined aquifer (Bob Kirkham). Surface water rights are senior and gw rights are junior. State engineers office issued too many permits for water wells in the 50s, 60s, and 70s, but the state is not helping to solve the problem. Ground-level ozone is emitted by drilling on every pad. Each pad needs a special permit to exceed air quality standards required by the state and the EPA. After gas comes to the surface, a dehydrator is used to separate the gas from the condensate, which includes volatile carcinogens (VOC) –most notably B-tex- (a suite of chemicals including ethyl benzene, xylene, tolumine), fracing fluids, water. Ozone is heavier than air and sinks into low lying areas, causes damage to human health, crops, vegetation and animals. South of Silt, ground-level ozone was found to be the cause of goat herds, especially kids, dying. Half of goat kids were stillborn on a ranch about 5 miles south of Silt where Encana has many wells operating. A Colorado Bill (2004) limits ground level ozone that comes off condensate tanks (Check EPA website and Colorado Air Quality Coalition). Ground level ozone is the #1 cause of asthma and also causes significant crop damage, and damage to animals, etc. Because these pollutants lodge in body fat, women are at greater risk than men. X) Water quality issues Industry uses propolene glycol (an antifreeze) on the well pads. This chemical, when ingested, is fatal for animals. These areas need to be fenced, but aren’t. Also B-tex (carcinogens) has been found in some contaminated wells and in grab samples for air quality. The San Luis Valley has long been acknowledged as one of the great spiritual centers of the world, since pre-historic times when several native American nations would gather in this, the “Bloodless Valley”, where bloodshed between peoples’ was not permitted. Mount Blanca stands on the southern end of the valley, and is one of the four sacred mountains of creation. Both SLV and Mount Blanca are such recognized cultural sites of great importance. The Baca Grande community is now home to many international spiritual centers and leaders representing diverse cultures and faiths, which provide the sanctuary and retreat that both residents and visitors seek. Several federal laws protect Native American sacred places. These include the National Historic Preservation Act (NHPA) and its implementing regulations at 36 CRF Part 800. Native American Graves Protection and Repatriation Act (NAGPRA) and its implementing regulations at 43 CFR 10, Archaeological Resources Protection Act (ARPA), NEPA Executive Orders 13175, 12898, and DOD Instruction 4715.3. In addition to potential sacred sites on the 100,000 acre lease area of the BNWR, there are many sprititual groups located a few miles to the east of the proposed wells in the Crestone/Baca community. These include a Carmelite Catholic monastery, a Hindu Ashram, several Tibetan Buddhist temples and retreat spaces, a Zen Buddhist retreat center, etc. • Costs-Traffic, Septic, Emergency Services etc. We need to look at Federal Energy Bill to see what kind of technologies they are using. What would Peggy do differently? She wishes she had understsood how the laws were on their side, and how corrupt the government is at all levels, local, state and federal, with key officials on the take from industry. Therefore, need to act more pro-actively rather than re-actively. Need to quickly connect with all available resources, environmental groups, legal council, water experts, hydrogeology experts, spiritual and native American groups, etc. How can we “get them?” Peggy says: Bad PR, everytime there’s an accident, report it, put it in paper, get everything in writing, hold them accountable for everything, their Achilles Heel is money. If we knick away at their profits, through law suits, delays, EIS’s, tie them up in court, etc. this costs them money and may make them want to cave in. There is very little inspection and oversight of these kinds of wells elsewhere, therefore we need to force accountability. h) community education- re: roads and traffic issues, water issues, financial impacts, etc. 4) Problem: A Community Development Plan is not legally binding. 2) Surface issues include permeable and sandy soil type, mixing of surface and ground water near the location of well #5, sensitive vegetation and wildlife, creation of ruts by large vehicles, road/traffic dust, waste disposal, air pollution, archaeology, reclamation. Kuipers and Associates, 2005, Filling the Gaps; How to Improve Oil and Gas Reclamation and Reduce Taxpayer Liability. 1) Oil and gas is the single richest industry in the world. You can’t sue them because all the laws are in their favor. Therefore, we can’t stop the drilling of these test wells. 2) There is very little inspection and oversight of these kinds of wells elsewhere, therefore we need to force accountability. 3) Towers will be 130 feet high. 1) noise, light, hours of operation, seismic activity, emergency services, roads, “boom town” effects. • The mineral rights connected to the Baca Ranch had been purchased by Lexam Explorations, Inc., in 1987, and comprise approximately 100,000 acres of sub-surface area. 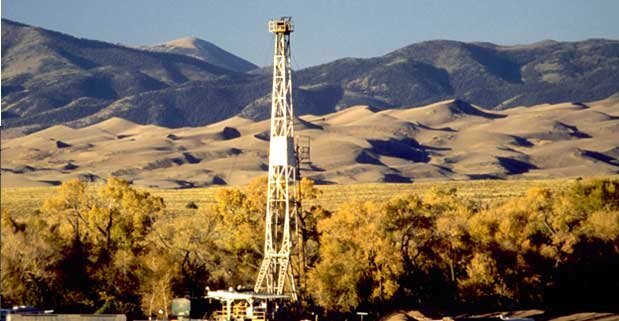 Lexam has submitted to the Colorado Oil and Gas Conservation Commission (COGCC) applications to permit the drilling of two 14,000 ft. test wells and the conducting of seismic testing over the Baca National Wildlife Refuge, their current target is natural gas. Lexam owns 75% of the mineral rights with the remaining 25% being owned by one of the world’s largest oil and gas producers, Conoco Phillips. • Studies conducted on the San Luis Valley geology in the early seventies found no evidence of source rock that would contain gas or oil. In 1992 and 1993 Challenger Gold drilled a number of exploratory wells and got “strong shows of oil” in 27 of 42 drill holes. In 1995, Lexam drilled the Baca #1 and Baca #2 wells and confirmed the presence of Cretaceous source rock near Deadman Creek, which may indicate oil or gas in the area. • The danger of leaking contaminants irrevocably polluting the San Luis Valley aquifers from the drilling of two 14,000 ft. deep test wells, and the possibility of future commercial production, is a threat to the whole Rio Grande region’s wildlife and water supply for future generations. This precious water resource provides for sensitive wildlife including over 70 species of rare plants and animals, valley agriculture, and water usage throughout the Rio Grande region. • Rare flora and fauna, some found nowhere else in the world include, the Great Sand Dunes tiger beetle, giant sand treader cricket, Rio Grande cutthroat trout, southwestern willow flycater, and Cleome multiculis or slender spider flower. Other species found in the area include bald eagle, sand hill crane, pronghorn antelope, elk, mule deer, bighorn sheep, mountain goats, mountain lion, and black bear. • Other dangers include higher costs for local tax payers and irrevocable damage to “one of the last great places” on Earth. Potential energy production from drilling in the Baca is may only produce only a few days of energy for the nation. • The Baca National Wildlife Refuge, managed by the US Fish and Wildlife Service (USFWS), as the surface right holders of the proposed area of drilling and seismic testing, is working with Lexam representatives to negotiate protections. The USFWS will be taking Best Management Recommendations compiled by the community to Lexam. • Chemicals used in natural gas development are dangerous to the health of those living in proximity to the drilling operations. The following list is taken from a pattern of toxicity found to be associated with identified chemicals and products used in natural gas development, it is noted that many chemicals and products are not disclosed for public scrutiny. Chemical exposure can cause skin/sensory organ toxicity, respiratory problems, neuro-toxicity, gastro-intestinal/liver/kidney toxicity, and reproductive toxicity. • Emissions from drilling pads exude carcinogenic toxic chemicals into the surrounding communities and public lands, ozone being a significant impact. Ozone displaces oxygen in the environment meaning areas become oxygen-deficient. Ozone, being heavier than oxygen, will settle into low lying areas of the landscape. Ground-level ozone is a cause of degenerative health problems for communities and wildlife. Ozone affects historical agricultural and ranching communities by causing landscape fragmentation, crop failure and livestock poisoning. • The Bush Administration is putting plans in place to approve more than 118,000 new gas and oil wells on public lands in Utah, Wyoming, New Mexico, Colorado, and Montana over the next two decades, which is nearly double the current total number of producing wells on public lands throughout the Rocky Mountains. Approximately 63,000 wells are currently producing on public lands. Because the average well impacts approximately 10 acres, a future drilling boom of 118,000 wells could mar more than 1 million Western acres, fragmenting wildlife habitat and polluting air and water. Colorado currently has 30,000 producing wells, 40,000 abandoned wells, and 22,802 planned new wells. • Best Management Practices can protect the environment and community health. Among the most important of these is securing a higher bond amount from Lexam. Colorado Oil and Gas only requires a $5,000 bond amount for communities to cover potential long term problems. Pitless or closed loop drilling eliminates the need for open storage pits by recycling fluids and solids in storage tanks to be removed to an off site facility. It will prevent the death of birds and animals from poisoning and contamination of the soil and water from leakages of open pits. State of Colorado only requires 5” of concrete for the upper and lower 10% of the drill wells casings. Thicker concrete casings in the drill well walls from top to bottom are essential to the protection of both the confined and unconfined aquifer. To avoid the sprawl of oil and gas wells across the landscape and its surface impact, it is important that well pads be clustered and use slant or directional drilling, so that six or more wells are consolidated on one 10 acre well pad. The historic Luis Maria Baca Ranch is situated in the heart of the southern Colorado Sangre de Cristo mountain range in the San Luis Valley, the highest desert valley in North America. The 2004 purchase of this property in addition to adding to Rio Grande National Forest, established the Great Sand Dunes National Park and Baca National Wildlife Refuge. The Nature Conservancy was integral to the purchase and transfer of property in the complex negotiations, due to their recognition of the value of the water rights associated with the surface rights. The San Luis Valley confined and unconfined aquifers have been the source of a large body of research, and are integral for the creation and maintenance of the Great Sand Dune complex. On November 22, 2000, Congress authorized the establishment of the Baca National Wildlife Refuge (NWR) located in the San Luis Valley of Colorado. Authorization for establishment of the Refuge was included in Public Law 106-530 under Section 6 of the Act entitled, “The Great Sand Dunes National Park and Preserve Act of 2000.” In addition to the Refuge, the Act authorized the Federal acquisition of lands adjacent to the Great Sand Dunes National Monument for the Great Sand Dunes National Park and Preserve. In approving The Great Sand Dunes National Park and Preserve Act of 2000, Congress determined that the lands to be acquired under the Act offered unique hydrological, educational, wildlife, recreational, and other diverse resources deserving preservation for the enjoyment of future generations. • BACA GRANDE PROPERTY OWNERS ASSOCIATION is an association for a residential community of artists, healers, natural builders, spiritual practitioners, retirees, and people seeking a simple country life based on values of ecological, spiritual and sustainable living. The Baca is a national center of alternative home building, home to several international spiritual centers and spiritual leaders, and dedicated to preservation of local ecology and wildlife. The Baca Grande is neighbor to the historic town of Crestone, and part of the historic Luis Maria Baca Grant ranch, bestowed by Mexican authority and upheld by the treaty of Guadalupe-Hidalgo that has become the above mentioned Baca National Wildlife Refuge and Great Sand Dunes National Park. Sub-surface mineral rights in the Baca community are owned by Lexam. • The Baca Grande community is now home to many international spiritual centers and world spiritual leaders representing diverse cultures and faiths who acknowledge the power of this place. In the last 25 years that it has been called sacred by representatives of all the major religions. Local spiritual centers include the Haidakhandi Universal Ashram, Shumei International Institute, Crestone Mountain Zen Center, Tashi Gomang Stupa, the Sri Aurobindo Learning Center, Yeshe Khorlo, Carmelite Monastery, Pundarika, Temple of Consciousness, The Crestone Baptist Church, Little Shepherd in the Hills Episcopal Church, and others. This document was prepared by the SLV Citizens Alliance (SLVCA). Lexam Explorations, Inc., a Canadian company, has applied for permits to drill two 14,000’ gas test wells in the new Baca National Wildlife Refuge immediately west of the Baca subdivision. Lexam, formerly Challenger Gold, owns the mineral rights under the Wildlife Refuge. The company is headed by Rob McEwen, former CEO and still the largest shareholder of Candada’s Goldcorp, Inc., and current CEO of U.S. Gold. As CEO of Goldcorp, McEwan oversaw the development Canada’s largest gold mine. In August, 2005, he purchased Goldcorp’s 49.8% of Lexam for $400,000 (Canadian) or 2 cents a share. As of July, 2006, that share is worth $12 million. Drilling the two test wells on the “Crestone East Prospect” is considered a high risk, “wildcat,” “drill play,” but Lexam believes there is significant potential for discovering large amounts of gas and oil in the San Luis Basin. Conventional geological wisdom until the early 1990’s was that Mesozoic-age “source rock” for fossil fuels was eroded from the San Luis Basin during the Laramide Orogeny about 65 to 55 million years ago. However, Lexam claims that 27 of 42 shallow exploration wells drilled in 1992 and 1993 encountered “strong oil shows” in “fractured Precambrian rocks and Mesozoic sediments.” Lexam’s geological consultants from Toronto (WGM) believe the seismic character of basin rocks is “remarkably similar” to that of the San Juan Sag to the west and the Raton basin to the east, where Mesozoic rocks are present. The nearby San Juan Basin has produced over 25 trillion cubic feet of gas. Lexam is hoping that over 100 and up to 550 square miles of the Crestone sub-basin contains a 2000 to 3000 ft. thick package of Cretaceous rocks at depths of 7,000 to 17,000 feet. Its two main acknowledged “risk factors” are: 1) the presence or absence of favorable source rock (mainly Cretaceous Mancos Shale and Dakota Sandstone) and 2) sealed traps (anticlines or rotated-fault blocks). Lexam is still raising funds for the exploratory drilling and 3-D seismic investigations (about $12 million is required). As director of the new Baca National Wildlife Refuge, Ron Garcia is in the process of negotiating with Lexam the conditions of the drilling permit to be issued by the Colorado Gas and Oil Conservation Commission. As the only federal employee at the Refuge, Garcia has a lot on his plate. More or less single-handedly, he is trying to gather base-line information on the vegetation, wildlife, and native American sites present as well as develop a management plan for the Refuge. And he is trying to preserve the integrity of the Refuge in the face of the imminent oil/gas drilling slated to be conducted adjacent to sensitive wetland areas where the unconfined and confined aquifers mix. Unfortunately, it appears that the exploratory drilling will proceed before an EIS (Environmental Impact Statement) is conducted to determine the presence or absence of threatened or endangered species. A group of Baca residents are now trying to help Garcia identify ways in which to minimize the environmental and social impacts of the drilling. This group has met several times to develop talking points (concerns) to help educate the community on these new realities. We have just acquired and viewed the excellent new DVD film “A Land Out of Time” (www.alandoutoftime.com), a documentary that records the profound impacts of gas exploration and drilling on communities and federal lands throughout the Rocky Mountain West. This current boom in gas/oil drilling throughout the Rockies, unprecedented in U.S. history, is due to: 1) the fast-track facilitation of fossil fuel extraction on federal lands resulting from Bush’s Executive Order 13212 (Actions to Expedite Energy Related Projects) and 2) Bush’s radical funding cutbacks of the agencies that are charged with protecting our federal lands (BLM, Forest Service, Park Service, and Wildlife Refuges). We will have a public showing of the film at 7:00 pm on November 3, at Jillian’s (NRVI) studio, followed by community discussion. In addition, four Baca residents traveled to Silt, Colorado to consult with Peggy Utresch of the Grand Valley Citizens’ Alliance. Touring the gas fields south of Silt, we were amazed and aghast at the environmental and social devastation wrought by innumerable gas wells upon the idyllic and pastoral communities there. Our Baca team, now called The San Luis Valley Citizen’s Alliance, have identified the following areas of concern: maintaining the integrity and quality of our unconfined and confined aquifers, maintaining integrity and access to native American sacred sites, doing baseline studies of air and water quality as well as wildlife and vegetation which could be affected by drilling. Such “best management practices” might include requiring a thick concrete casing for the entire 14,000’ well and the use of “closed-loop” water system to protect surface water and soils. 1,000’S OF GAS WELLS ON THE BACA NATIONAL WILDLIFE REFUGE. YOUR HELP IS NEEDED NOW!!! Time is running out if we hope to stop oil and gas exploration in the San Luis Valley! Recent information suggests that early reports of “little chance” of finding natural gas are not true: Rather, it is a “virtual certainty,” and major gas production by ConocoPhillips (the company now drilling in Arctic N. Wildlife R.) will begin after test wells strike hydrocarbons. Lexam Explorations, Inc. hopes to start drilling in the summer of 2008. If drilling begins it may be impossible to stop this Valley from becoming an industrial park. We only have a short time to communicate with officials concerning the insanity of allowing drilling and related activities in the vicinity of one of the largest and most important aquifers in the U.S. People can live without natural gas, but not without clean water. The risks of contamination are too great for ourselves and future generations. Please write or call the individuals below. To help cover financial costs related to copying, postage, etc., please consider donating money to Water Watch Alliance, P.O. Box 653, Crestone, CO, 81131. The communities, ranchers, and ecosystems of the San Luis Valley thank you! This could be one of the most important public services that you can render in your lifetime. It is important that you do it now!!! WATER AND GAS DON’T MIX IN THE SAN LUIS VALLEY! A 1974 geological report estimates that aquifers in the San Luis Valley hold 2 billion acre feet of water, of which at least 140 million acre feet is potable. At the (2001) going rate of $5000 per acre-foot, the value of this water is over $700 billion. Or at the price of bottled water, over $8.5 trillion. I.e., it is priceless! Thousands of wells in the unconfined and confined aquifers supply irrigation and drinking water for the San Luis Valley. These aquifers are “highly sensitive” and vulnerable to infiltrating contamination because: 1) Depth to water table is shallow, averaging only about 7 feet, 2) Surface soils are typically sandy and highly porous, 3) aquifers are comprised mostly of porous unconsolidated sands and gravels, and 4) faults and fractures are common and hence, the aquifers recharge rapidly and water pollutants can move through the aquifers and mix readily. In gas drilling, serious pollution can come from both the surface (from evaporation ponds, drilling pits, condensate, leachate, spills, etc.) and from the subsurface (by mixing of water with toxic drilling fluids, cuttings, and oil and gas). Drilling fluids used in the “hydraulic fracturing” process, used in 90% of gas wells, are exempt from regulation by the Clean Water Act. Each “frack” or “shot” requires a million gallons and causes mini-earthquakes at depth. “Fracking” fluids include a toxic suite of chemicals, including B-Tex (benzene, toluene, ethylbenzene and xylene), heavy metals, diesel fuel, VOC’s (volatile organic compounds), formaldehyde, methane, and hydrogen sulfide. Of the 245 chemicals used, 91% have adverse health effects and 35% have endocrine disrupting effects (www.endocrinedisruption.org). Through evaporation and leaching, these chemicals also contaminate air and soils. If coal beds are found, the mining of coal-bed methane (CBM) gas is even more toxic. Then, drillers 1) pump enormous quantities of briny “produced water” to the surface, and 2) enlarge the borehole by injecting high pressure gas into the well. Gas and oil themselves evaporate easily, dissolve in water, and are toxic. One component, benzene, is carcinogenic. Because hydrocarbons are less dense than water, they rapidly move upward through aquifers. Hence, gas and oil can leak upward from the confined aquifer into the unconfined (surface) aquifer. One quart of oil can contaminate 250,000 gallons of water! And concentrations of methane gas above 10 mg/l are ignitable. Well water from the confined aquifer between Alamosa and Moffat already has ignitable levels of methane. A new house east of Mosca exploded in 2003! Finally, concrete well casings typically deteriorate after 20 years, so old wells can also be a major source of pollution.